Solapur University invites application form for the various posts of Controller of Examinations. 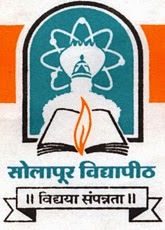 The interested job searchers can send their filled application form against the Solapur niversity vacancy notification on or before the last date which is 20.11.2013. At least 15 years of experience as Lecturer (Senior scale) / Lecturer with 8 years experience in Reader’s/Associate Professor’s Grade along with experience in educational administration, commensurate with the revised pay scale & designation of the U.G.C. How to Apply :Applications should be sent to Solapur University office. Send your fully filled applications to Registrar, Solapur University, Solapur – 413255.